Tires are a crucial part of vehicle maintenance, but often get the least attention. Everyone focuses on the engine while simply ensuring that the tires are inflated, or checking to see if they need to be rotated or changed entirely because the tread wear it too low. However, tires need much more attention than that. They can’t be treated like other parts of the car where you can simply replace them when they wear out. How should you treat your tires? Our article roundup regarding tire care and maintenance has everything you ought to know about giving your tires the care they need. How Maximum Tire Pressure and Saving Gas are Related – Your tire pressure affects your gas mileage, and an over-inflated tire hurts your fuel efficiency (and your tire’s tread wear) as much as an under-inflated tire. Some have recommended that maximum tire pressure is what you need to have the best fuel efficiency and the safest ride, but this isn’t exactly the case. Proper tire pressure is not the same as maximum tire pressure. 3 Things You Need to Know About Buying New Tires – When purchasing a set a new tires for your car or managed fleet vehicles, there are three factors you need to consider: size, performance, and weight. Size is of particular importance, as a tire’s fit can be off by a few millimeters, and those few millimeters can mean that yours will lose its pressure much more quickly. 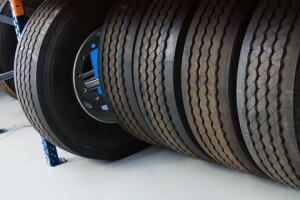 Obviously, the tires needed for a tractor trailer aren’t the same as those needed for a two-door, but determining the right size for your car is much more complicated than that. How Water Harms Your Tires – Water isn’t good for your tires. You don’t want to be driving with it sloshing around inside, which can happen if the air you use to inflate your tires has water vapor (which happens more often than not). Water can deteriorate the rubber of your tire, rust the axel, and cause your tire pressure to fluctuate more often as the water heats and cools as you drive. Removing the water vapor from the air when you inflate your tire, even if you do it yourself, is much harder than it sounds. The Cost of Under-inflated Tires – Under-inflated tires hurt your fuel economy, your tires, and even your safety. 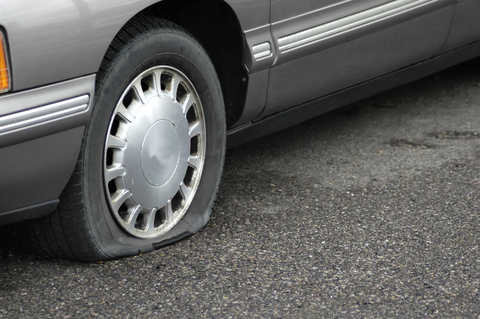 Under-inflated tires also hurt because it can be hard to tell when your tires are under-inflated. You can’t always tell by looking at them, and if you’re using regular air, then your tire pressure is likely to go up or down, depending on when you measure it because the heat from driving will increase the pressure. Guess What? Air Isn’t Free Anymore. Nitrogen Tires are a Better Deal – One of the arguments against nitrogen tire inflation is that air is free, so why pay the money? But, not everyone offers the service for free anymore, where it can cost up to $2 to use an air compressor. 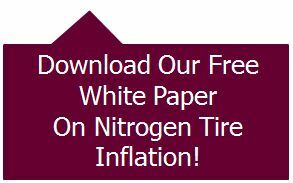 With this in mind, comparing nitrogen tire inflation and air tire inflation becomes a product/service comparison instead of a straight price comparison. Does a $2 charge mean you’re only getting $2 worth of tire inflation? Prep Your Tires for Summer Travel Season – Winter may not be over yet for a few more weeks, but summer travel season (especially Memorial Day Weekend) is the weekend with the highest incidences of tire troubles. This includes blowouts, flat tires, and other scenarios that require the help of AAA. Stay safe as you use your long weekend for a quick vacation by prepping your tires for the road trip ahead. 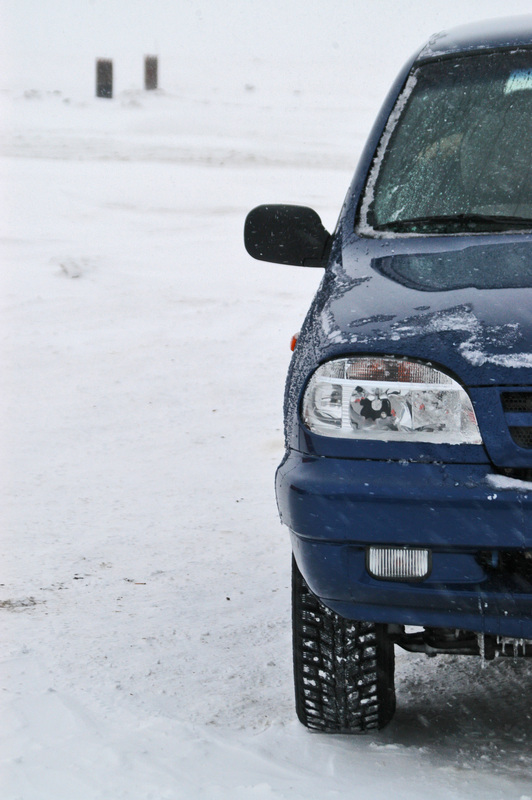 When driving on icy and slippery winter roads, you need tires that can handle those conditions. This means that tires that are underpressure, or have uneven wear, are going to give you as much trouble as the road conditions themselves. Proper tire pressure solves the first, and it solves the second since its typically a tire that’s below pressure that will wear unevenly. To solve for proper tire pressure, nitrogen tire inflation does the trick. 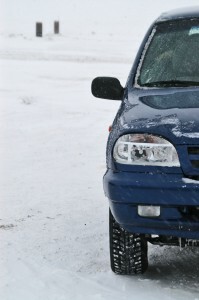 Nitrogen tires maintain proper tire pressure for longer periods of time, which is one comforting thing to have when traveling through severe weather. With winter road conditions, commute times are longer because you have to be more careful on the roads. You might also have to take different routes to avoid accidents and traffic. All that means you’re burning more fuel and increasing how much you spend on gas. To keep that to a minimum, (besides avoiding the roads all together) you can fill your tires with nitrogen. Because of the proper tire pressure benefit, nitrogen tire inflation increases your fuel efficiency by three percent, which can make a big difference as gas prices and the amount of gas we’re using goes up. Of course, one of the last things you want to happen when driving in this weather is to run of gas and to be stranded. Get the most out of every drop of fuel with nitrogen tire inflation. Air-filled tires are much more sensitive to temperature changes than nitrogen tires, so with air-filled tires you run the risk of driving on tires that are below pressure. It also means that while you’re driving, your tire pressure will also fluctuate with larger swings. These sorts of changes do not represent the safety that you want when you are driving on icy roads, or at the beginning of snow fall when the road surface changes. Since nitrogen tires better withstand the extreme temperatures of winter, they are much safer for driving than air-filled tires. Driving when the roads aren’t safe may seem like a gamble, but you can increase your chances of arriving safely with tires that are ready for these conditions. Even with snow tires, you want your wheels to be reliable and to be able to withstand the unpredictability of winter roads. Winter may already be halfway over, but the driving never is, and nitrogen tire inflation is still beneficial once the snow stops. So, it’s not too late to fill your tires with nitrogen, and you don’t have to wait until next winter to do it. The density of humid air has nothing to do with tire performance. Humid air is bad for your tires because it is humid, because the water vapor is very susceptible to temperature changes and causes the tire pressure to fluctuate. This also happens at temperatures below 100 degrees Fahrenheit because as you drive, you heat up the tires, no matter what the temperature is on the outside. They’re moving, there’s friction, and all that creates heat. All this is a concern if you’re just tooling around town, because tooling around town creates heat as well, and the water vapor in your tires is still reacting. We have no idea who said this, but the better performance from nitrogen doesn’t come from saving weight. It comes from the fact that nitrogen maintains proper tire pressure for a longer period of time, and its the proper tire pressure that creates better performance and handling. More squishy? What does that even mean? Just because this argument is coming from a science blog doesn’t meant that it’s scientifically sound. This could mean that the consumer gets a reading that says their tire pressure is fine, or is too high, and will do nothing about a tire that’s really low or will make it low by releasing pressure to compensate for the high reading. This is why it’s recommended to check tire pressure when the tires a cool, such as before starting the car or after being parked for a few hours. 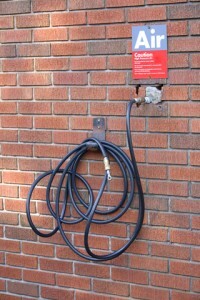 Since tire pressure ought to be checked when the tires are cool, this means that tires would need to be refilled at home with an at-home air compressor (since most people would have to drive to the gas station to get to their air compressor, heating up the tires and ruining the reading). What’s Wrong with Their Study? Consumer Reports is a highly respected magazine that publishes reviews and comparisons of consumer products and services based on reporting and results from its in-house testing laboratory and survey research center. Most of the time, Consumer Reports has great content and does a good job in their testing and research processes. However, the magazine conducted a nitrogen air loss study between 2006-2007 (it was a year-long study), and we think that this study isn’t a true representation of the benefits of nitrogen tire inflation. Consumer Reports tested nitrogen air loss by evaluating pairs of 31 tire models of H- and V-speed rated, all-season tires, filling one with 95% nitrogen and the other with regular air. Their use of a variety of tire models is good, but that’s not the problem. The problem is in how this study was conducted. 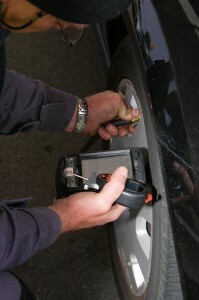 Consumer Reports filled and set the inflation pressure at room temperature to 30 psi (pounds per square inch); set the tire outdoors for one year; and then rechecked the inflation pressure at room temperature after a one year period. The Consumer Reports study found that nitrogen does reduce pressure loss over time, but the reduction is only a 1.3 psi difference from air-filled tires, which was considered minimal. 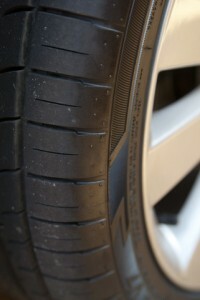 However, since these tires weren’t tested under normal operating conditions, which not only affect tire pressure retention (which is what the test was meant to study) as well as what that tire pressure retention can mean under normal operating conditions (such as a smoother, safer ride, or a lower likelihood for a blowout, or improved fuel economy), this 2006-2007 study only tells half the story. Although it found that the tires filled with nitrogen better retained their proper tire pressure than the air-filled ones, the test and its results don’t do a good job of what this means, making it too easy to argue that it doesn’t mean anything at all. Q: I just thought I’d remind everyone that nitrogen makes up like 75-78% of ambient air, so air verse nitrogen should make little or no difference. A: Yes, nitrogen makes up most of the air — about 78% as you point out. Think about this, though: if you fill your tires with air, the oxygen is more likely to permeate out of the tires before the nitrogen and over time you end up with a higher concentration of nitrogen. I have not checked this but it seems possible. Sure, it’s possible, but you still end up with an underinflated tire. A tire of pure nitrogen, but not at proper tire pressure is just as bad as an underinflated tire that has regular air in it. Choosing this method to get your “nitrogen tire” simply because it’s cheaper doesn’t mean that it’s better for you or your tires. This study from Consumer Reports is often cited as the death-blow to nitrogen tire inflation. Since Consumer Reports found the benefits to be negligible, the benefits must be negligible and the whole thing must be a scam to make more money. However, we’ve poked holes into how this study was conducted, and we think that the service ought to at least be tested again in a manner that actually evaluates how the tires perform and maintain tire pressure while being used on the roads, not just sitting idle outside for a whole year. Essentially, they don’t discredit the use of nitrogen. They simply say that it’s not a substitute for regular tire pressure checks, which is something that the nitrogen tire inflation industry and its supporters have been saying this whole time. Naysayers ought not to discredit the practice so quickly based on one study, especially since the study has its flaws and that the researchers did not conclude that the practice was bogus. Even with mass communication as powerful as the Internet, it’s still possible (and perhaps much easier than ever) to disseminate misinformation and untruths. The topic of nitrogen tire inflation is no exception to this, and we’re committed to busting myths and eliminating the untruths that circulate online, even if we have to bust certain myths more than once and really drive home a few key concepts. Here are some old, and new, untruths about nitrogen-filled tires, and what the truth really is. Absolutely not true. It’s not as if topping off an air-filled tire with nitrogen benefits your tire like a tire filled 100 percent with nitrogen. Granted, topping off a nitrogen-filled tire with air isn’t the best, but you don’t negate all the benefits. Just because it’s harder to top off with nitrogen doesn’t mean that nitrogen tire inflation isn’t worthwhile. A while ago, I replaced the air in my tires with nitrogen at a cost of $20. Now I’ve noticed that I’m getting about 40 miles less per tank of gas. Can nitrogen cause a drop in gas mileage? Anyone who says that with nitrogen tire inflation, you don’t have to worry about tire pressure ever again, is lying. Nitrogen tire inflation maintains proper tire pressure for a longer period of time, but it doesn’t keep your tires properly inflated forever. It’s not the nitrogen that ruins your gas mileage, its the underinflated tires. You still have to check them regularly, even if it’s just to make sure you don’t have a leak. As the myth says, tires that are underinflated will diminish your fuel efficiency. The other argument for nitrogen over air is that oxygen within normal air causes ‘oxidation’ within the tire. However, I haven’t seen any concrete evidence as to what oxidation really is or why its such a bad thing. Oxidation is the interaction between oxygen molecules and other elements. It’s what causes an apple to turn brown, unopened food to spoil after a long period of time on the shelf, metal to rust, and rubber (such as the rubber in tires) to deteriorate. If any of those examples don’t count as concrete evidence, than I don’t know what does. Just because we typically call it rust or rotting doesn’t mean that oxidation doesn’t exist or is some fancy scientific principle that’s too difficult for normal people to understand. The advantage of nitrogen being more stable and less prone to changes in pressure due to heat in the tires seems of little benefit to average drivers. Not true. Sure, normal drivers aren’t driving under the extreme conditions that NASCAR drivers and airplane pilots do. Both use nitrogen-filled tires on a regular basis, and are right to do so because there are much more extreme temperature changes than in daily life. However, just because the temperature changes aren’t extreme doesn’t mean that they don’t happen in daily life, and it doesn’t mean that those less extreme changes don’t make a difference in handling and tire pressure. Since nitrogen better handles these changes, it means that a driver will get more accurate readings of his/her tire pressure, and will less likely overinflate/underinflate their tires unnecessarily. More stability also means a safer tire, one that is less likely to suffer a blowout. Today, we will call foul on an article from 2008. Carl Feagans in a Hot Cup of Joe argues that nitrogen tire inflation is a scam and not worth it for general consumers. Although we do think that the benefit of nitrogen tires is best seen in managed fleets, that doesn’t mean that the whole practice is a scam and that there isn’t any benefit at all. Feagans’ biggest argument in claiming nitrogen tire inflation is a scam is that nitrogen actually effuses faster from a tire than oxygen. He points out that what’s used in the tires are the diatomic molecules (N2 and O2), not just the element. Based on Graham’s law of effusion, nitrogen would leak faster than oxygen. The science in Feagans’ post is accurate. However, it doesn’t apply because the argument discusses nitrogen and oxygen, while with nitrogen tire inflation, the discussion is between nitrogen and regular air. Regular air is much more than oxygen, and no one fills their tires with pure oxygen. Therefore, Feagans’ argument doesn’t disprove the value of nitrogen tire inflation. Feagans wanted a non-nitrogen tire industry study that found nitrogen-filled tires lasting longer than air-filled ones. Well, Ford conducted a study in 2004, and not only found that the nitrogen tires did last longer, but that oxidation takes places from the inside out. And Ford isn’t the only one that supports the practice: Michelin and Firestone also think that nitrogen tire inflation is a good idea. Popular Mechanics also said the same thing in 2009. Oxygen or Nitrogen: Which Is It? Anyway, we digress. Feagans is no different in quoting these numbers. Naysayers also, even when quoting the 78%, also love to downplay the power of oxygen while saying that 78% nitrogen is somehow good enough (even though the nitrogen doesn’t do anything. That’s why this whole thing is a scam). One of the consequences of regular air is oxidation, and Feagans asks why oxidation doesn’t take place on the outside and why the nitrogen dealers are only worried about oxidation on the inside. The biggest reason is that oxygen is a very reactive element, and affects more than just the tire. The oxygen will also corrode the aluminum and steel wheels, causing additional problems to your vehicle. It’s not just the rubber we’re worried about. Oxygen is not only reactive with other elements, it’s also very reactive to temperature. The airline industry and NASCAR use nitrogen-filled tires because their tires can run so hot that an air-filled tire will suffer a blowout under most of their conditions. Yes, nitrogen is less volatile. No, it doesn’t matter if you’re in a fiery crash. However, your tires will run cooler with nitrogen, so they are better protected against a blowout, which does happen to regular consumers and managed fleets. Nitrogen Tire Inflation is No Scam! Even so, it is not a replacement for checking your tire pressure regularly and making sure you are maintaining proper tire pressure at all times. Flats still happen, and even though nitrogen maintains proper tire pressure longer, it still does leak over time. There is always a better way to do things, even simple things like keeping your tires inflated. Nitrogen is that better way, until someone creates a tire that doesn’t leak and doesn’t need to be topped off ever again. We can all agree that drivers need to check their tire pressure regularly in order to ensure proper tire pressure and tire safety. Nitrogen tire inflation is never to be considered replacement for checking tire pressure at least once a month. However, this need would only exist, and this practice wouldn’t be necessary if tires didn’t leak, which leads us today to discuss how tires leak and the biggest sources of these leaks. A leak. Most tire leaks are the result of a hole or puncture, faulty valve, a porous or corroded wheel, or even a poor fit of the tire to the rim. Permeation. 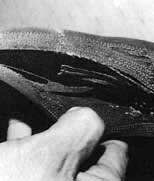 Permeation is the normal process by which the air in a tire bleeds through the tire’s body or carcass. It is typical for an air-filled tire to lose 1-2 pounds per square inch of pressure every month through normal permeation. Temperature Change. All gases expand and contract with temperature. If you live in an area that experiences dramatic temperature changes, you will have to adjust your tire pressure accordingly. Typically you will only have to adjust your tire pressure “up”, adding pressure as ambient temperatures decrease. Count on losing about 2% of your total tire pressure for every 10 degrees in temperature reduction (which can easily take place between daytime and nighttime, mind you). Granted, most tire pressure loss can be resolved by replacing the tires if they’ve been punctured or have a faulty valve stem and by ensuring that they are properly fitted to the rim of your car. However, this doesn’t eliminate all possible leaks. It’s not as if fixing those leaks will mean that you never have to worry about your tire pressure again. We point this out because it’s been argued that nitrogen tire inflation doesn’t work because by fixing the leaks, you fix most of the tire pressure loss. Therefore, you don’t need nitrogen. However, that argument doesn’t disprove the fact that nitrogen tires maintain proper tire pressure for a longer period of time. The argument doesn’t disprove that nitrogen tires are great against the other two conditions that cause low tire pressure. No, nitrogen won’t help you if you have a puncture in your tire, but that doesn’t mean it doesn’t help at all. First of all, permeation happens no matter what. It’s the process of a vapor, gas, or liquid penetrating through a solid. It’s why our groceries have a shelf life. Before product is opened, we don’t want oxygen getting in. We don’t want oxygen getting in because oxygen is a very reactive element, and will cause food to go bad if its exposed long enough. However, if product sits in our pantries long enough, long after that shelf date, it won’t be good even if it was never opened because oxygen is still slowly getting in through permeation. Permeation also happens with tires, and it’s why we lose tire pressure over time, even in the absence of leaks, faulty valves, and poor fitting. 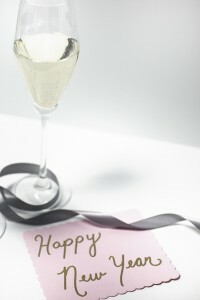 And, guess what? Nitrogen permeates slower than regular air! Tires lose 1 to 2 psi per month when filled with air, while nitrogen tires will take over six months to lose that same amount of pressure. 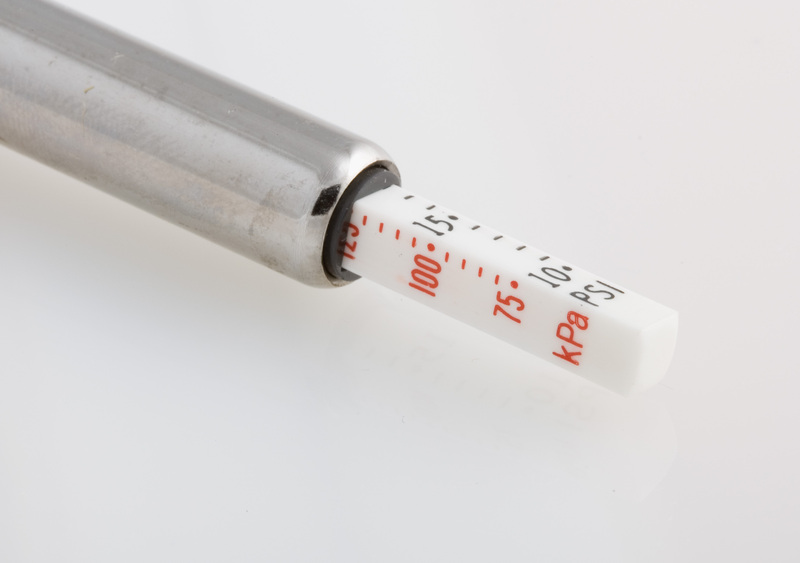 Permeation decreases tire pressure, and nitrogen substantially slows that process. Second of all, since nitrogen is less reactive to temperature changes than oxygen and water vapor (both of which are in the air you use to fill your tires), it helps to maintain proper tire pressure for a longer period of time. This is why the airline industry and NASCAR have used nitrogen tire inflation for decades; it prevents their tires from blowing out under the extreme temperature changes. As stated, we lose 2% of our tire pressure with every 10 degree drop in temperature. That easily takes place between morning and night, as, for example, it’s supposed to happen today in St. Louis and it happened yesterday in St. Louis. Sure, you’re not driving 200 miles per hour or flying a jumbo jet, but the planet is still spinning and the weather is still changing, so your tire pressure is changing with it. Don’t believe what Bankrate.com argues on this, if you can even understand the paragraph that tries to argue against this. Overall, your tires will lose pressure over time. If there was a way to prevent this from happening all together, then we wouldn’t need to fill them up regularly or to check the pressure from time to time. However, that’s not the case, which means that tires lose pressure, and anything that can be done to retain that pressure is a good thing. Nitrogen tire inflation is one of those things. According to the Rubber Manufacturers Association, only one in six vehicles have four properly inflated tires. This means that over 80 percent of vehicles have at least one under-inflated tire, which can incur huge costs to gas and safety if left unattended. What’s the Big Deal with Under-inflated Tires? AAA estimates that 1.2 billion gallons of gas are wasted every year because of under-inflated tires. Those same under-inflated tires can cost the typical driver $600 a year in excess gas. It’s easy to argue that if you just watch your tire pressure and top them off every week, you shouldn’t have that problem. However, how many people are actually going to do that, especially when only 15% of drivers know how to check their tire pressure properly? Even if they were to adhere to that schedule, would they be able to do it in a way that actually eliminates that extra cost? If people aren’t using a tire pressure gauge to check their tire pressure, then how are they doing it (if they are doing it at all)? Well, they could be going by appearance or by the warning light system on their dashboard. However, a tire can be up to 12 pounds low, or 40% low, before it shows any visible signs of being under-inflated. Also, the warning system doesn’t light up until your tires are 25% too low. That kind of under-inflation can cost a lot of money, as well as increase your risk for a car accident. Keep in mind that if your tire needs to be at 35 PSI, even 34 PSI is considered under-inflation and is already wasting gas and putting you at increased risk for a car accident. So, it’ll cost you in money and gas. Not a big deal if you have a lot of money. However, under-inflated tires are also a safety risk. The biggest safety risk is that driving on those under-inflated tires makes them bend more, increasing their internal heat. The hotter your tires are, the more flexible they become, putting them at increased risk for a blowout if you were to drive over a pothole or take a sharp turn. This increased flexibility also reduces traction, diminishing your vehicle’s handling, making it harder to keep in control in case you need to react quickly or in the case of an accident. Every month, your tires will lose one to two pounds of pressure, so simply doing the regular maintenance every 3000 miles isn’t enough for tire maintenance and safety. Unfortunately, there’s no way to prevent this from happening. How Do You Keep Your Tires Properly Inflated? The best way to keep your tires at their proper tire pressure is with nitrogen tire inflation. Nitrogen tire inflation has been found to maintain proper tire pressure for a longer period of time, which boosts fuel efficiency, tire safety, and tire life. Yes, tire life. The increased wear and tear and increased use of fuel is also hard on your tires, causing them to wear out 50% faster than properly inflated tires (and costing you an extra $150 a year). If interested implementing nitrogen tire inflation into your tire maintenance or managed fleet program, then contact us today. Guess What? Air Isn’t Free Anymore. Nitrogen Tires a Better Deal. One of the biggest gripes about nitrogen tire inflation is that air is free, so why pay for something that you can get for free? However, it turns out that’s an outdated notion, as in some places, consumers have to pay anywhere from $.50 to $2.00 just to use the air compressor. Granted, in states like California, consumers can get air for free if they buy gas, but in most states, such a law doesn’t exist. This means, in most places, this gripe about nitrogen tire inflation is completely moot. Since in most places you have to pay for both compressed air and nitrogen tire inflation, then consider it a comparison of product instead of a comparison on price. Much like a comparison of cheap shoes versus expensive shoes, or a cheap restaurant versus an expensive restaurant, you’re looking at much more than the dollars. You then have to consider if paying a little bit more for nitrogen tires provides more benefit and value than regular air. Yes, but that’s one of the biggest misunderstandings of nitrogen tires. It’s presumed that nitrogen is used because nitrogen is so special. However, the main reason why nitrogen is used is because the other 22% of air is so harmful for tires, primarily the oxygen and the water vapor. Both oxygen and water vapor are much more receptive to temperature changes, causing tire pressure to fluctuate. This means, if you don’t check your tire pressure when your tires are cool, such as when you pull into a gas station to fill up, you could be getting an inaccurate reading of your tire pressure. So, you’re filling up and you think you might be adding needed pressure, when in fact you could be overinflating them. On the other hand, if you do a reading and see that your tire is already overinflated, you could be releasing tire pressure from a tire that was already at proper tire pressure. Whether your tire is overinflated or underinflated, both conditions negatively impact fuel efficiency and tire life. We certainly don’t recommend nitrogen tire inflation as a substitute for checking tire pressure regularly, but when you consider that 85% of people don’t know how to properly inflate their tires, what good will regular tire pressure checks do for most people (unless they get it done at an auto service station)? At least with nitrogen tires, proper tire pressure is maintained for a longer period time, and pressure checks can be done at regular maintenance checks with little worry. With nitrogen tires, consumers will have one less thing to worry about, which is a nice thing in our incredibly busy lives. Unless skeptics are going to start teaching people how to properly inflate their tires instead of complaining about how nitrogen tire inflation is a scam, then they aren’t solving for the fact that 44 million people in the United States are driving on at least one underinflated tire. When it comes down to it, nitrogen tire inflation offers a much better product than a tire filled with compressed air. Sure, it costs more, but there are a lot of products that cost more and are much better than their cheaper counterparts. Nitrogen tire inflation provides tires that will maintain proper tire pressure for a longer period of time and will help those people who, for whatever reason, don’t check their tire pressure regularly or don’t know how to properly inflate their tires. By going to a professional or to an auto service shop that offers nitrogen tire inflation, you are sure to get someone who knows what they are doing and can provide you this better product correctly.